Holiday themed activities can offer some great learning opportunities. 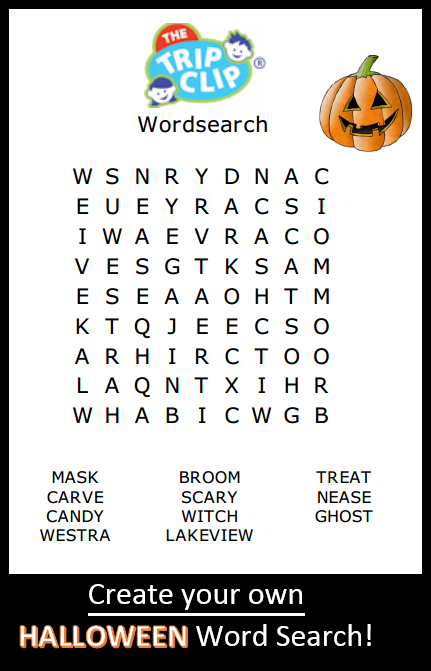 I used The Trip Clip to create this customized word search for my son’s 2nd grade Halloween Party. Lots of fun Halloween-themed words to find, along with a few words they’ll know are just for them – their school name and their teacher’s name!